Home Celtic Heroes End Of Season Sale! 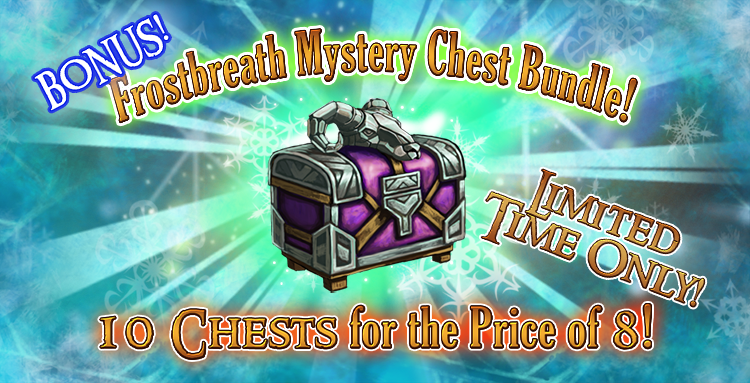 10 for 8 Frostbreath Mystery Chests! The snow is melting from the lands, Spring is soon approaching! Lord MacLir is cleaning out his chest stock! 10 Chests for the price of 8! Last chance to get Cranfir Spirit Horses, Sacred Auroral fashion, Sacred WIndgliders, Grovehawks, Imp charms and Cranfir Crests!